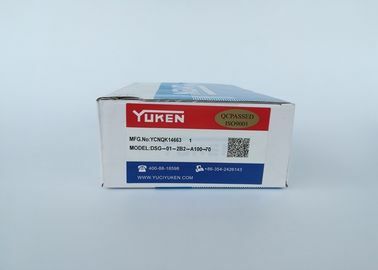 YUKEN solenoid valve is used to control the direction of fluid automation basic components, are actuators; usually used in mechanical control and industrial valves above, the media control, so as to achieve the control of the valve switch. Solenoid valve has a closed cavity, open in different locations through-hole, each hole leads to a different tubing, the middle of the valve is a valve, on both sides of the two electromagnets, which side of the magnet coil body valve will be attracted to Which side, by controlling the movement of the valve body to block or leak different drain holes, and the inlet hole is normally open, the hydraulic oil will enter the different drain pipe, and then through the oil pressure to promote the cylinder piston, The piston drives the piston rod, the piston rod drives the mechanical device to move. This controls the mechanical movement by controlling the electromagnet current.